Announcing the RawHyde Training Giveaway WINNER: Gary Kibbee! Gary Kibbee is the grand prize winner for the RawHyde Training Giveaway package, including a weekend at RawHyde's Adventure Training facility, motorcycle rental, and a two day adventure to Base Camp Alpha; and he get's outfitted with new gear: a Nexx XD1 Baja Helmet and REV'IT! Tornado 2 Riding Suit. "After several years of reading articles and dreaming about getting to an Overland Expo, the stars finally aligned last October in North Carolina. I was working in Virginia and I also had the week off. I started my Overland Education with my uncle in 1965. My uncle purchased a 1964 four wheel drive and put a winch on it and we set off around the mountains of Northern California see what it could do. No one had 4-wheel drive in those days. At 16, I got my first motorcycle (a 1966 Honda S90) and set about adding a larger rear sprocket, raised exhaust, and knobby tires and was off. After entering and finishing my first enduro I realized I needed another bike. Then followed Butacos, 441 Victors, etc. The military gave me chances to improve and practice my off-roading and to start to see some of the world and to live and travel in different cultures. My last several years have been on the road and a well traveled Harley and a 4-wheel drive Dodge truck have been the valiant steeds. Arriving at the Expo was like going to Disneyland at 6 years old. I was expecting hassles a the entry point because I had about 50 pieces of paper and bad organization. Registration proved effortless. As I pulled my Jetta station wagon in-between a very nice VW Syncro and a Subaru complete with winch and roof top tent, I knew there was more fun to come. I guess my overall favorite thing was the people. The guy who rode up from Florida on his KLR, the axe instructor that played with the kids for hours in a little pit they built from fencing, and the instructors that truly loved what they did and showed no hesitation when I had to ask for a second or third explanation. The vendors seemed to have every piece of gear I had salivated over or seen in the hundreds of articles I have read while flying 60+ days a year. Just when you think it can't get any better, you pick the new Land Rover of your choice and take (with adult supervision) on the off road course. If you are good you can get back to the motorcycle area and get on a new BMW and take a spin before hitting the the evening presentation. Change Your World Fund first grantee announced! WIN seriously great prizes for seriously great videos.
. . . and more great loot coming in each day! I’m in! How do I enter? >>> Enter using our Video Contest Entry Form. Remember, we will pick the top five videos, and we are looking for heartfelt, quality responses. Who is your favorite exhibitor at an Overland Expo and why? What is the best or most important thing you’ve learned at an Overland Expo class or demo and why? Q: Who can enter? A: Anyone, any age. Q: Is there a limit? A: one video entry per person, but multiple people in one household can apply–even your kids, but make sure it’s their voice and thoughts. Q: When is the deadline? A: Entries must be received by the end of business day July 13. That should give you time to think up some great stuff — maybe even shoot your video while out overlanding on the Fourth of July weekend. Overland Expo’s staff and our seriously great Training Team will judge the videos purely on how much they like the emotion, quality, honesty, and content. Jonathan indicates he is open to bribery if it involves sinfully expensive khaki clothing or pretty much any knife or flashlight. To meet our judges please see here. 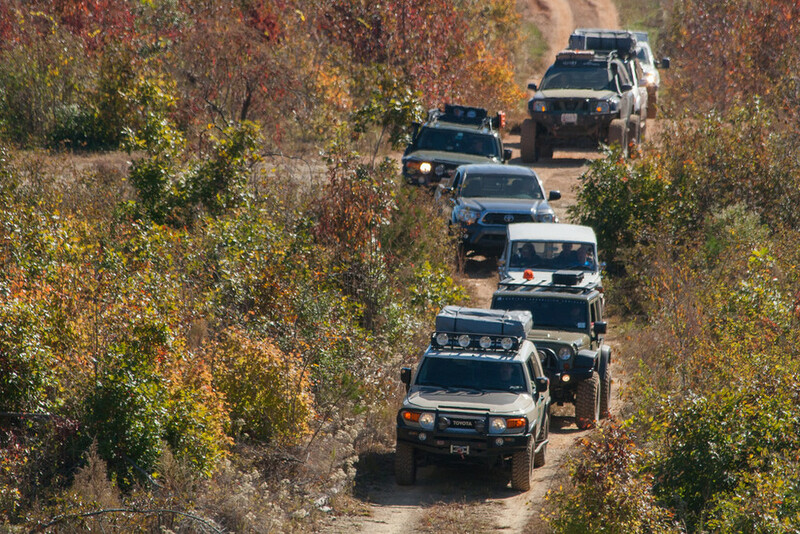 Winning videos will be used (in part or full) in an upcoming promotional video for Overland Expo 2015 EAST and Overland Expo 2016 WEST. Winners will be named in the credits, and all rights to the video will be assigned to Overland Expo LLC for marketing purposes.